Here's the sign I made last summer. It's made from a piece of who knows what that I found next to the neighbor's garbage can on trash day. Yeah, I'm cool like that, dragging home trash from the neighbor's. Here are a few other Americana items I've had for years. 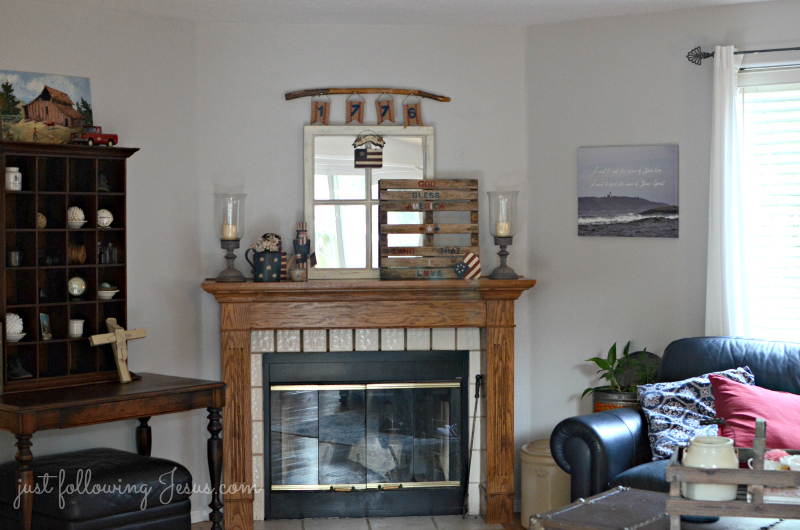 which is the only "new" thing added to the mantel. One of those quick and easy ten minute projects that I love. Makes me want to get busy putting out a few special 4th touches. 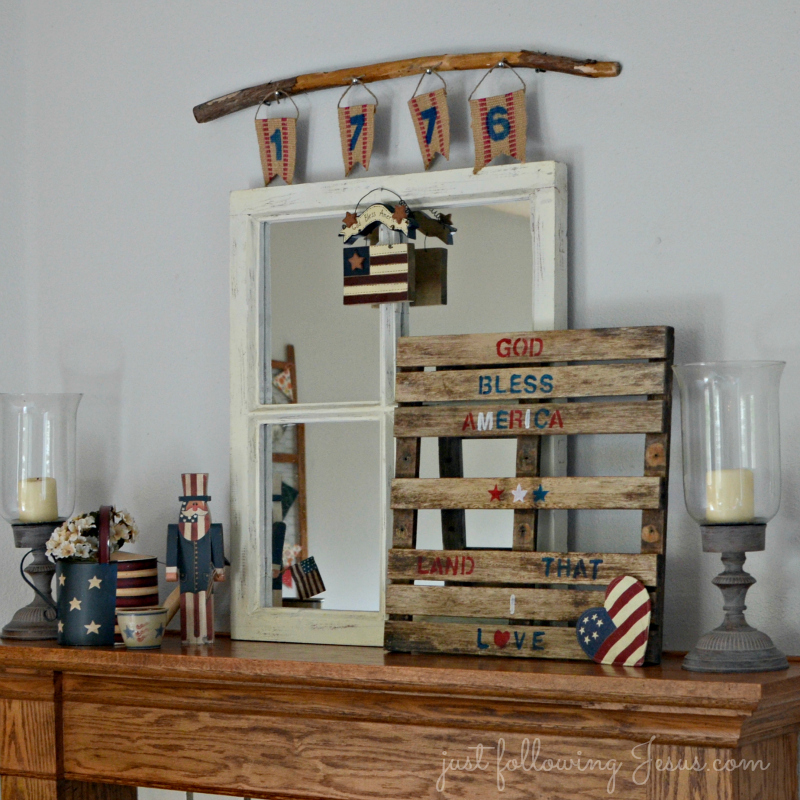 We are having the family here on the 4th for the first time ever so it will be nice to spruce it up for them. 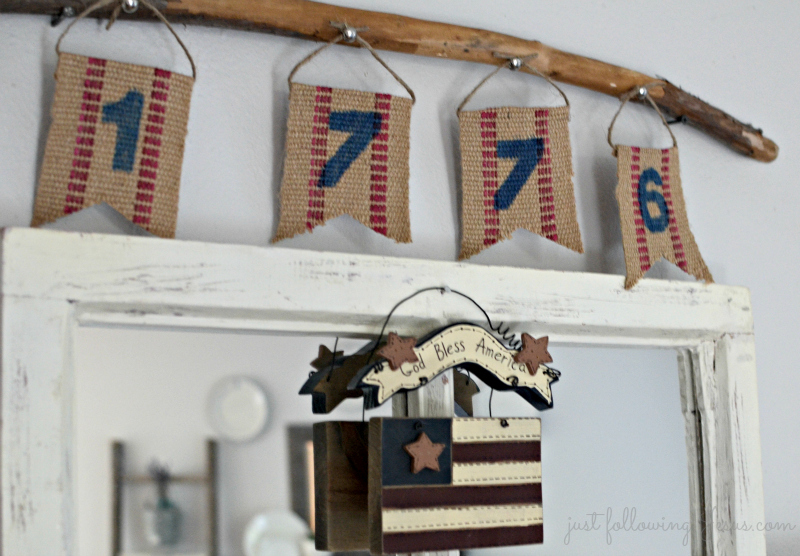 Especially love the jute 1776! Yay for having the family home! 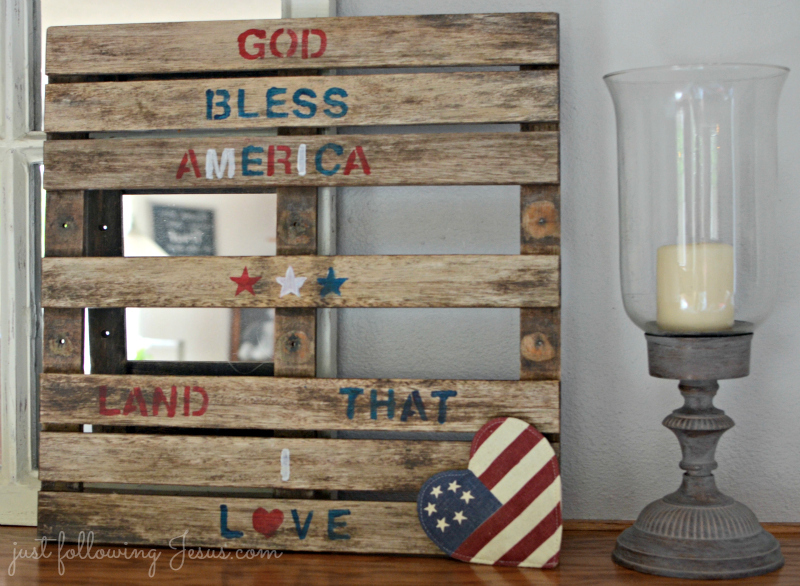 Love your sign on the old wood pallet maybe? And also the 1776 banner you made. Thanks, Mary Alice. Not sure what this small pallet was, but I'm happy with what it is now! Everything looks so pretty, Elizabeth! I was going through posts and saw that you commented on one and apologize for not responding sooner. We have just moved and it's been a bit crazy. I am your newest follower and looking forward to reading through your blog tonight. Blessings! Keeping up on all comments is pretty much impossible, so no worries! Thanks for following! Love, love, love it! I'm busy changing gears from a few days away with my sweetheart to a few days away with Sisters On The Fly. I'd love to drop all my plans and decorate for the 4th but that will have to wait until I return in a little over a week. In the meantime, I'll just come by and look at your mantel! Busy having fun is a good kind of busy to be, friend! YaY! Welcome as my newest follower! Thanks so much for your kind comment. 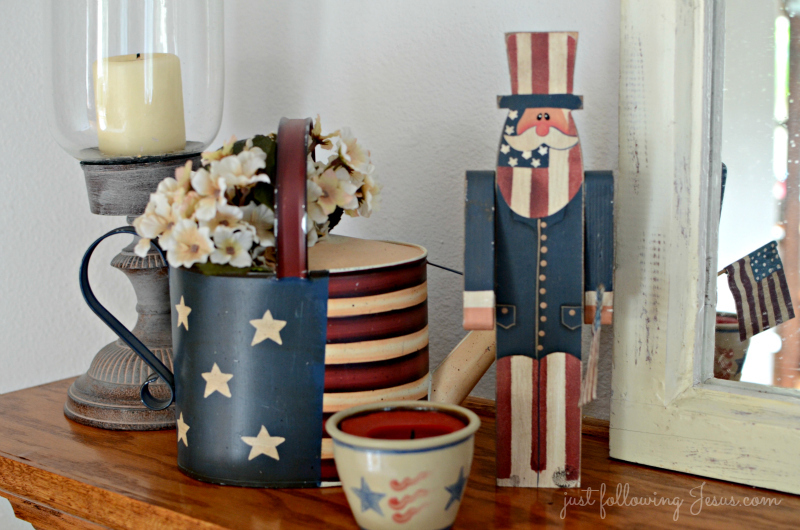 All beautiful elements for your Fourth of July decorating Elizabeth. 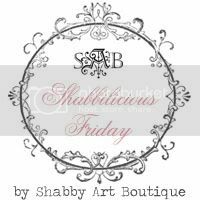 Thanks for linking up at Shabbilicious Friday. I'm visiting from Make It Pretty Monday. This is so festive! My favorite touch is the 1776 above it. I would never have thought to include that in decorating.